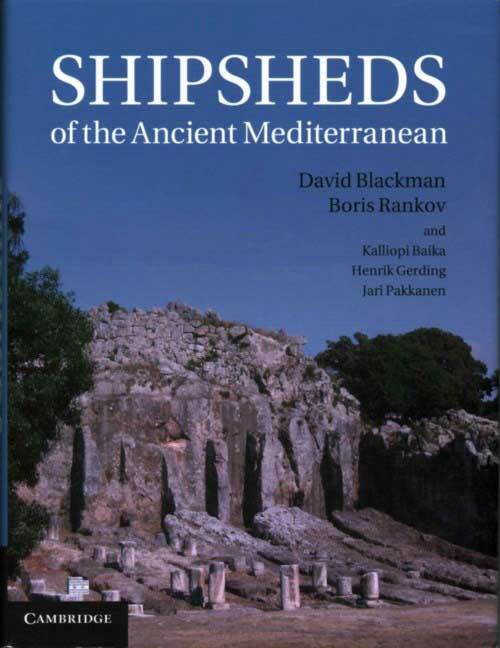 David Blackman, Boris Rankov, Shipsheds of the Ancient Mediterranean, Cambridge University Press, 2014, ISBN: 9781107001336. 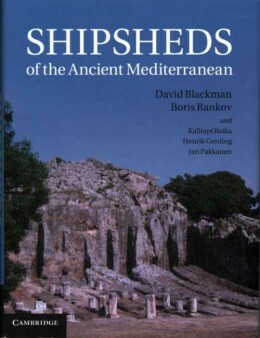 David Blackman has been carrying out and publishing research on ancient harbours for over forty years; as a postgraduate student he provided an analysis of the then known remains of ancient shipsheds (published in 1968 in Morrison and Williams’ Greek Oared Ships), which were one key factor in the design of the Olympias trireme reconstruction. The present book is a culmination of that work. In 1997 he became Director of the British School at Athens, and has been based in Oxford since 2002. Boris Rankov is Professor of Ancient History at Royal Holloway, University of London. In 1987 he recruited the first trials crew of 170 rowers to operate the Olympias trireme reconstruction, and was one of the rowing masters on the ship in 1988, 1990 and 1992. In 1996, he succeeded John Morrison as Chairman of the Trireme Trust, and subsequently co-authored the second edition of The Athenian Trireme (Cambridge University Press, 2000). Alongside work on the Roman army and its epigraphy, ancient oared ships have remained a focus of his research and publication, including Trireme Olympias: The Final Report (2012) and the present volume. Kalliopi Baika has a PhD from the University of Paris I-Panthéon-Sorbonne. She has worked at Royal Holloway, University of London, has been Visiting Lecturer in Maritime Archaeology at the University of the Peloponnese and is now a maritime archaeologist at the Ephorate of Underwater Antiquities in the Hellenic Ministry of Culture. She specialises in Greek harbour archaeology and coastal geoarchaeology in the Aegean and Mediterranean. Henrik Gerding has a PhD in Classical Archaeology and Ancient History from Lund University. He has worked at Royal Holloway, University of London and Uppsala University and is now Senior Lecturer in Classical Archaeology and Ancient History at Lund University. His research has been mainly on ancient architecture, and his published works include a monograph on the tomb of Caecilia Metella outside Rome. Jari Pakkanen is Senior Lecturer in Classical Archaeology at Royal Holloway, University of London and has been a Co-Director of the Project. He specialises in Greek architecture, and from summer 2013 is the Director of the Finnish Institute at Athens.